Back side reads, "See Other Side"
DO NOT OPERATE NEEDS REPAIR. SIGNED BY_____. DATE_____. NO. 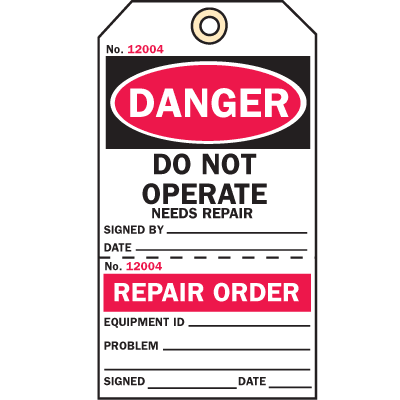 REPAIR ORDER. EQUIPMENT ID_____. PROBLEM_____. SIGNED_____. DATE_____.